If you wanna end war and stuff, you gotta sing loud! If you want to know how blockchain relates to DRM and ebooks, it helps to understand CryptoKitties. CryptoKitties are essentially numbers that live in a game-like environment which renders cats based on the numbers. Players can buy, collect, trade, and breed their kitties. Each kitty is unique. Players let their kitties play games in the "kittyverse". Transactions involving CryptoKitties take place on the Ethereum blockchain. Use of the blockchain make CryptoKitties different from other types of virtual property. The kitties can be traded outside of the game environment, and the kitties can't be confiscated or deleted by the game developers. In fact, the kitties could easily live in third-party software environments, though they might not carry their in-game attributes with them. Over 12 million dollars has been spent on CryptoKitties, and while you might assume they're a passing fad, they haven't gone away. It's weird to think about "digital rights management" (DRM) for CryptoKitties. Cryptography locks a kitty to a user's cryptocurrency wallet, but you can transfer a wallet to someone else by giving them your secret keys. With the key, you can do anything with the contents of the wallet. 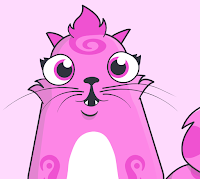 The utility of your CryptoKitty (your "digital rights") is managed by a virtual environment controlled by Launch Labs, Inc., but until the kitties become sentient (15-20 years?) the setup doesn't trigger my distaste for DRM. Now, think about how Amazon's Kindle works. When you buy an ebook from Amazon, what you're paying for is a piece of virtual property that only exists in the Kindle virtual world. The Kindle software environment endows your virtual property with value - but instead of giving you the right to breed a kitty, you might get the right to read about a kitty. You're not allowed to exercise this right outside of Amazon's virtual world, and DRM exists to enforce Amazon's control of that right. You can't trade or transfer this right. Ebooks are are different from virtual property, in important ways. Ebooks are words, ideas, stories that live just fine outside Kindle. DRM kills this outside life away, which is a sin. And it robs readers of the ability to read without Big Brother keeping track of every page they read. Most authors and publishers see DRM as a necessary evil, because they don't believe in a utopia where readers pay creators just because they're worth it. But what if were possible to "CryptoKittify" ebooks? Would that mitigate the sins of DRM, or even render it unnecessary? Would it just add the evils of blockchain to the evils of DRM? Two startups, Publica and Scenarex are trying to find out. Depending on implementation, the "CryptoKittification" of ebooks could allow enhanced privacy and property rights for purchasers as well as transaction monitoring for rights holders. If a user's right to an ebook was registered on a blockchain, a reader application wouldn't need to "phone home"
to check whether a user was entitled to open and use the ebook. Similarly, the encrypted ebook files could be stored on a distributed service such as IPFS, or on a publisher's distribution site. The reader platform provider needn't separately verify the user. And just like printed books, a reader license could be transferred or sold to another user. Alas, the DRM devil is always in the details, which is why I quizzed both Scenarex and Publica about their implementations. The two companies have taken strikingly different approaches to the application of blockchain to the ebook problem. Scenarex, a company based in Montreal, has strived to make their platform familiar to both publishers and to readers. You don't need to have cryptocurrency or a crypto-wallet to use their system, called "Bookchain". Their website will look like an online bookstore, and their web-based reader application will use ebooks in the EPUB format rendered by the open-source Readium software being used by other ebook websites. All of the interaction with the blockchain will be handled in their servers. The affordances of their user-facing platform, at least in its initial form, should be very similar to other Readium-powered sites. For users, the only differences will be the license transfer options enabled by the blockchain and its content providers. Because the licenses will be memorialized on a blockchain the possibility is open that they could be used in other reading environments. Scenarex's conservative approach of hiding most of blockchain from the users and rights holders, means that almost all of Scenarex's blockchain-potential is as-yet unrealized. There's no significant difference in privacy compared to Readium's LCP DRM scheme. License portability and transactions will depend on whether other providers decide to adopt Scenarex's license tokenization and publication scheme. Because blockchain interaction takes place behind Scenarex servers, the problems with blockchain immutability are mitigated along with the corresponding benefits to the purchaser. Scenarex expects to launch soon, but it's still too early to see if they can gain any traction. Publica invites authors to create "initial coin offerings" (ICOs) for their books. An author raising funds for their book sells read tokens for the book to investors, presumably in advance of publication. When the book is published, token owners get to read the book. Tokens can be traded or sold in Ethereum blockchain-backed transactions. From an economic point of view, this doesn't seem to make much sense. If the token marketplace is efficient, the price of a token will fluctuate until the supply of tokens equals the number of people who want continuing access to the book. Sell too many tokens, and the price crashes to near zero. In today's market for books, buyers are motivated by word of mouth, so newly published books, especially by unknown authors, are given out free to reviewers and other influencers. To make money with an ICO, in contrast, an author will need to limit the supply so as to support the token's attractiveness to investors, and thus the book's price. In many ways, however, book purchasers don't act like economists. They keep their books around forever. They accumulate TBR piles. Yes, they'll give away or sell books, but that is typically to enable further accumulation. They'll borrow a book from the library, read it, and THEN buy it. Book purchasers collect books. Which brings us back to CryptoKitties. 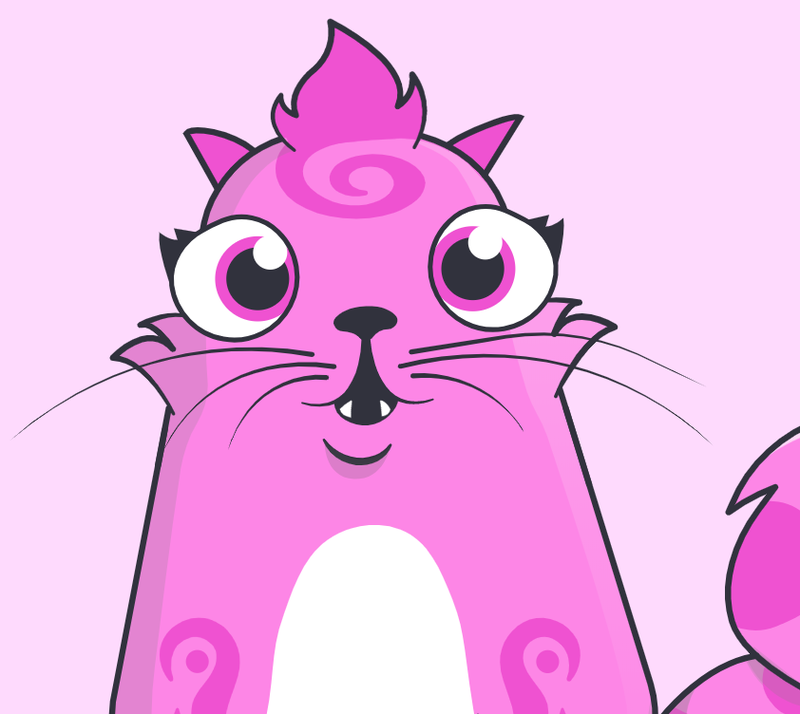 In May of 2018, a CryptoKitty sold at auction for over $140,000. That's right, someone paid 6 figures for what is essentially a number! Can you imagine someone paying that much for a copy of a book? I can imagine that. In 2001, a First Folio edition of Shakespeare's plays sold for over $6,000,000! Suppose that J. K. Rowling had sold 100 digital first editions of Harry Potter and the Philosopher's Stone in 1996 to make ends meet. How much do you think someone would pay for one of those today, assuming the provenance and "ownership" could be unassailably verified? CryptoKitties might be cute and they might have rare characteristics, but many more people develop powerful emotional attachments to books, even if they're just words or files full of bytes. A First Folio is an important historical artifact because of the huge cultural impact of the words it memorializes. I think it's plausible that a digital artifact could be similarly important, especially if its original sale provided support to its artist. This brings me back to DRM. I asked the CTO of Publica, Yuri Pimenov about it, and he seemed apologetic. Publica's app uses a cryptographic token in the Blockchain to allow access to the book contents, and does DRM-ish things like disabling quoting. But since the cryptographic token is bound to a cryptographic wallet, not a device or an account, it just papers over author concerns such as piracy. Pimenov is correct to note that it's the reader's relationship to the author that should be cemented by the Publica marketplace. Once Publica understands that memorializing readers supporting authors is where their success can come from, I think they'll realize that DRM, by restricting readers and building moats around literature, is counterproductive. To make an ebook into a collectable product, we don't need DRM, we need need "DRMem": Digital Rights Memorialization. So, I'm surprised to be saying this, but... CryptoKitties win! Unglue.it Making the world of ebooks safe for the free. If you are a Comment Spammer, comments are closed to you. Your use of this material is subject to the Go To Hellman Blog License Agreement. This blog uses StatCounter analytics; they set a tracking cookie that may spy on you.